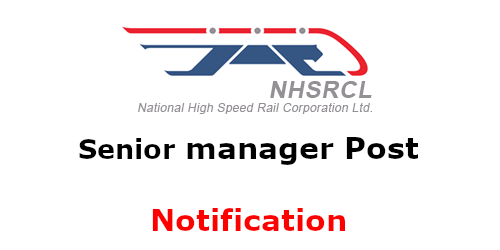 On 20/02/2019, NHSRCL announced Job notification to hire candidates who completed B.Tech/B.E for the position of Senior Manager / Manager. 1. Essential: B.E/ B.Tech in Civil Engineering from any recognized university. 2. Desirable: 1) M.E/M.Tech in Structural Engineering from any recognized university. 2) Qualified in Japanese Language Proficiency Test (JLPT) Level – 5 or Level-4 or Level-3. A. 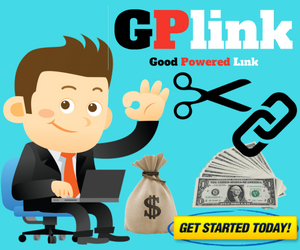 Minimum 6 years of post-qualification work experience and Working in analogous grade / Working in Rs 60,000-1,80,000 (IDA E3) equivalent to Rs.24,900-50,500 (Pre-revised) / Minimum 4 years in Rs 50,000-1,60,000 (IDA E2) equivalent to Rs. 20,600-46,500 (Pre-revised). The candidate from personal Sector ought to be drawing a compensation quite Rs.10,00,000/- per annum. OR Minimum 4 years post qualification work experience (in E2 Scale) for officials who have directly joined in E2 IDA Scale. B. Should have experience of at least 3 years in Design of Bridges/Viaducts for Railway / Road / Metro loading based on Indian/International standards and should be proficient in the use of various Structural Design software. Preference shall be given to candidate having experience in design of Steel Bridges. A. Minimum 2 years post qualification work experience in Design of Bridges/Viaducts for Railway / Road / Metro loading based on Indian/International standards and should be proficient in the use of various Structural Design software. B. Preference shall be given to candidate having experience in design of Steel Bridges. C. The candidate from the Private Sector should be drawing compensation more than Rs.8,00,000/- per annum. A. Minimum 6 years work experience and open to Officers, Managers working in analogous grade / Working in grade Rs 60,000-1,80,000 (IDA E3) equivalent to Rs. 24900-50500 (Prerevised) OR Minimum 4 years of post-qualification work experience (in E2 Scale) for officials who have directly joined in E2 IDA Scale. A. Minimum 2 years of working experience in Design of Bridges/Viaducts for Railway / Road / Metro loading based on Indian/International standards and should be proficient in use of various Structural Design software and open to Officers, Managers working in analogous grade / Working in grade Rs 50,000-1,60,000 (IDA E2) equivalent to 20600- 46500 (Pre-Revised). C. Deputation would be for a period of 5 years. 3. Incomplete application or application while not supporting documents are rejected and no correspondence during this regard are amused. 4. Mere conformity to the work necessities or submission of the application won't entitle a candidate to be demanded an interview. Instead, relying upon the quantum of a response of applications, the Management may, if found necessary, prescribe a competitive written test/ personal interview or both or raise/relax the Standard of Specifications to restrict/allow the number of candidates to be demanded an interview. 5. Management reserves the proper to decision or to not decision any / all of the candidates UN agency have responded against this packaging or to cancel/postpone the complete method itself due to various administrative reasons. 6. No correspondence will be entertained with the candidates, not shortlisted for interview or for any inquiry. 7. Candidates are suggested to see their email (including spam) and official web site of NHSRCL from time to time for any information/updates on the achievement method. 8. Eligible candidates shortlisted supported the initial scrutiny are demanded interview. Suitable communications during this regard are sent to the candidates one by one. 9. Out-station candidates demanded interview are paid metallic element as per company rules. 10. the choice of Management concerning choice is final. 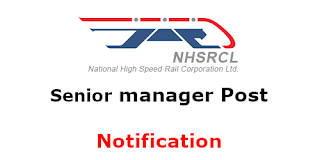 General Manager (HR), National High-Speed Rail Corporation Limited, Asia Bhawan, Road-205, Sector-9 Dwarka, New Delhi-110077. Shortlisted candidates would be required to make a brief presentation on the jobs handled by them and their experience in the areas detailed in the job description of the post Interview. The envelope containing the appliance ought to be superscripted “Application for the post of Senior Manager (Design) or Manager (Design). The application ought to be self-addressed to head (HR), National High-Speed Rail Corporation Limited, Asia Bhawan, Road-205, Sector-9 Dwarka, New Delhi-110077. Last date of Application reaching the recipient either by post or by hand is 08.03.2019.